shop, and the launch of Carven shoes, handbags and ready-to-wear. of Hawaii, Honey: Big Island Bees, Honolulu Coffee Company, and more. private event space and the iconic 40 Carrots restaurant. experiences such as fashion shows, afternoon tea and cocktail parties. charging station, a private restroom, and more. to be featured in the new store. “It was a priority to honor the vibrant Hawaiian landscape and culture. president of creative services at Bloomingdale’s. walls and rafted wood ceilings. sophisticated vacation and everyday wear. to Bloomingdale’s and will only be carried at the Ala Moana location. AllSaints, Maje, Max Mara, Sonia Rykiel, Zadig and Voltaire, and Sandro. Dita Von Teese on the island. to BLANKNYC denim to beach party frocks from Lucy Paris and BB Dakota. playhouse filled with creative games and toys. including Paul Smith, MCM, Salvatore Ferragamo, Vince, Y-3, and more. international shipping of in-store purchases. charities in celebration of the Ala Moana opening and beyond. and the Outrigger Duke Kahanamoku Foundation. Loyallists. To become a Loyallist, visit bloomingdales.com/loyallist. an International Loyalty Club catering to international tourists. car service, and special local-experiences such as surfing lessons. the Ala Moana location and join the conversation with #alohabloomies. 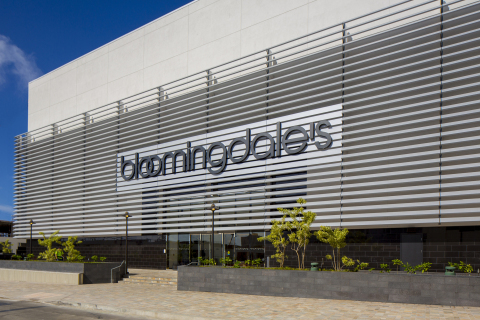 Bloomingdale’s is famous for in addition to new and exclusive offerings. contact Julia Austin in the Bloomingdale’s Public Relations office at Julia.Austin@bloomingdales.com.